Things have not gone as expected in the last week or so, with plans changing or being abandoned completely, partly due to bad colds and partly just because it was what the kids seemed to need. I'm really conscious of trying not to overschedule our time, as children need above all else time for unstructured play, but nonetheless our weeks can sometimes feel like we're chasing from one thing to the next. An enforced stop to our week where we cancelled everything and stayed home together, playing, reading, cooking, crafting and working on Ollie's Romans project was just what we needed. This weekend I took stock from what had happened during the week and cancelled our plans in order to get back to the basics of spending time together. 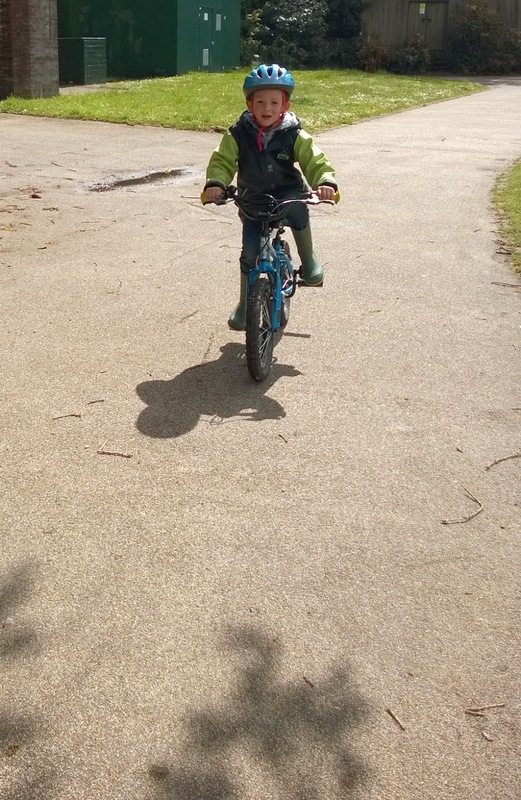 We started with a good Spring clean of the house, working together as a whole family to flush out any stale energy from a week indoors feeling poorly. When the house was clean, we got it messy again by baking vegetable pasties together, with each of us having a job to do. Matt was on pastry and chopping veg, Ollie on grating carrots and parsnips, I chipped a swede and a sweet potato, Toby stirred it all together. 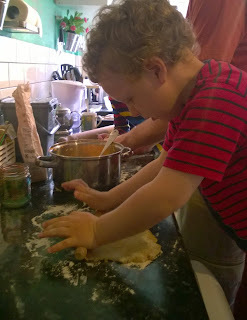 The boys then rolled and filled their pasties, which made for a delicious lunch. 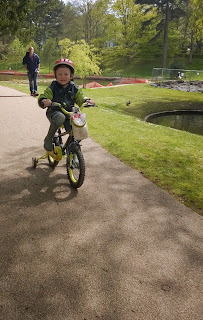 Next it was tidy up time again and then down to the park to ride bikes, a simple thing that the kids love but we don't always make time for, preferring as adults to see something new on a day out than to walk again around the same old park. For the kids though, they love that park more than all the new experiences, spending uninterrupted time together as a family and the sense of excitement of rising down a big hill or the fun of feeding the squirrels. Finally a quick dinner and plenty of time afterwards to play Lego with Matt, before bath and stories. It doesn't sound the most exciting day, but it was exactly what we needed - to slow down, enjoy the moment and prioritize what we most needed and wanted to do with our time. Mindfulness isn't just about meditation, it's about being present in the moment. Sometimes it feels like you can fill your life with interest and excitement if you keep moving, but when you stand still for a while you experience fully what you have right at home and what is really important, and for small children that really is nothing more complicated that your undivided attention.